Why do it? Is it for me? What is Modern + Mindful? Modern + Mindful is Calgary’s top mobile meditation company, offering a variety of ways to pause in today’s 24/7/365 digital world. 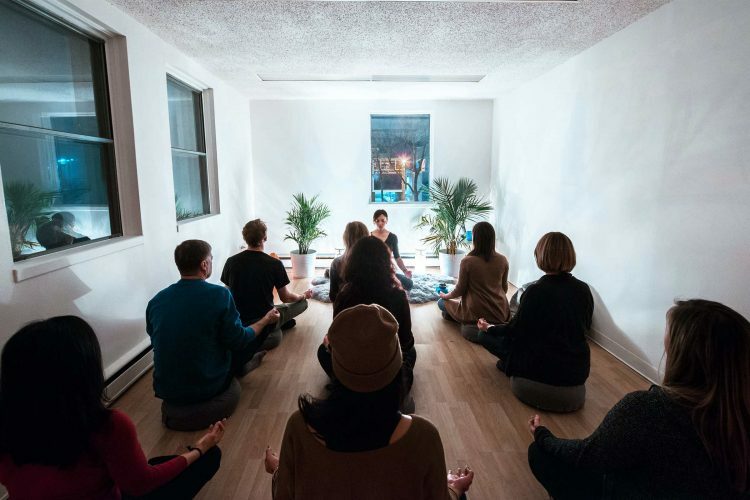 At Modern + Mindful we are not reinventing meditation; we are simply refining how it is practiced in a modern world. I’ve never meditated before- how do I start? I have a difficult time sitting - can I still attend a class? Our lunchtime classes take place in a comfortable boardroom so you don’t have to worry about your legs falling asleep! I work out regularly and find it to be a very mindful experience. Would meditation still be of benefit to me? Yes- it can help hone in your focus on a run, and help you mentally push through that last set at the gym. Plus meditation is a great daily practice you can incorporate into your life in your day to day clothes, as there is much less sweating! The fact that you are sitting in silence and focusing on your breath is a great start! It will get easier over time, and our staff are always happy to chat after a class or corporate session. subscribe to our newsletter and be entered for a chance to win free lunchtime class ! It just makes sense.